Repair corrupted Alcor USB flash drives that have AU6981, AU6982 and AU6983 chip controller .AlcorMP UFD v6.21 can format and fix alcor flash disk that have format errors such as write protection problem . AlcorMP UFD v6.21 format software can update alcor flash firmware and restore factory settings .AlcorMP UFD v6.21.exe support only the chip controller that we mentioned before so please don't use it with other flash drive chip controller .To know your flash drive chip vendor ,You can use Chipgenius software or USBDeview V2.30 utility to determine flash drive information easily. 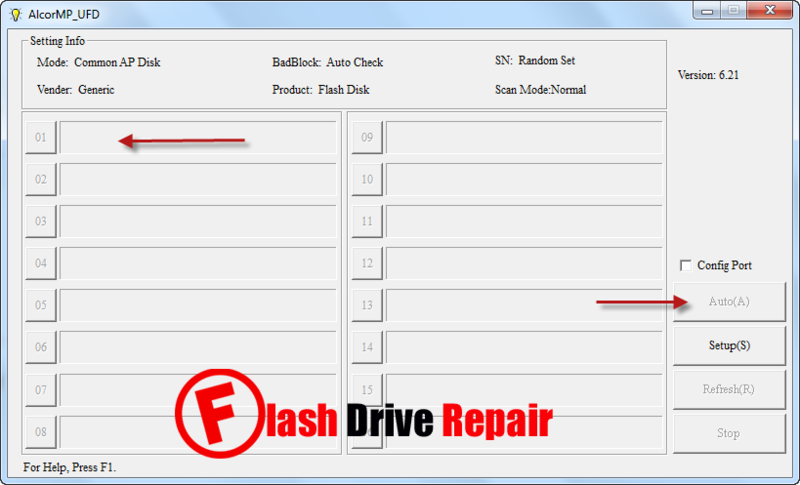 how can update flash drive firmware ? Download AlcorMP UFD v6.21 software from download links below . 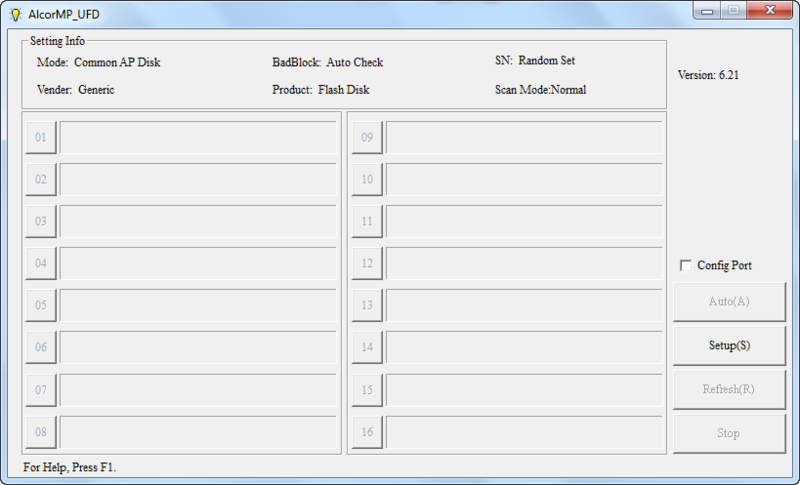 Insert corrupted Alcor usb flash disk to your PC . Open alcormp ufd_v6.21.exe and if your flash drive chip vendor is one of the following "AU6981, AU6982 or AU6983 chip controller so your flash drive information will appear on the software interface . Click Auto (A) to start updating flash firmware . Wait until finish updating your flash drive firmware .